Threat is an ingredient to winning. As a Fairfax criminal lawyer and martial arts practitioner, I know this to be very true. That is why I repeatedly advise clients not to plead guilty if the prosecutor is not prepared to go to trial. That is why a former prosecutor volunteered to me that when he knew he had a case against me, he would expect a long trial, and that this helped me in negotiations. That is why some judges will think twice against risking making the wrong ruling, if the threat (for instance by defense-beneficial caselaw presented persuasively to the judge) is that doing so will at best make them seem foolish and at the harsher end might get them overruled and castigated on appeal, and even result in a judicial disciplinary proceeding if they stray too often. The stakes are high for criminal defendants, and defending them is battle and sometimes war. As with victory in all battle, this is about being fully prepared at all times with well-though-out plans backed by the capability to carry them out, sometimes with the addition of investigators, expert witnesses, other essential witnesses, and physical exhibits. Criminal defendants will experience fear levels from the mild to the significant to the overwhelming. They will feel more grounded when they know that their lawyer will take care of them well at all stages. They can also reduce their fear levels by applying the approaches that anyone can harness for reducing any kind of fears, starting with being in the present at all times without worrying about the past and future; maintaining balance in all aspects of life; and following a sensibly balanced triumvirate of good nutrition and diet, good rest, and regular exercise even if that starts with daily walking for a mile or more. The goal of a good criminal defense lawyer is not to be a threat, but to be fully prepared at all times, always listening, being fully aware and fully engaging. The status of being prepared, ready for battle, and ready to win is the threat. 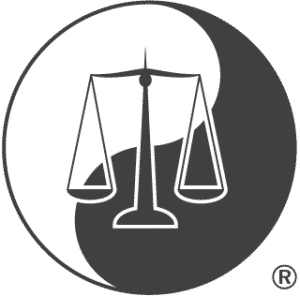 My taijiquan/t’ai chi ch’uan martial art provides great lessons in how to develop, internalize and apply threat capabilities. Early on in my doing taijiquan sparring/pushing hands/sensing hands, my much more experienced sparring partner helpfully told me he felt no threat from me. He felt no threat from me because I was too preoccupied with the quality of my performance rather than simply being in the now while applying all the taijiquan principles that I already had internalized. Even though the Karate Kid remake is but a movie, the film’s jacket practice scenario excellently illustrates how part of becoming a threat and winning is incorporating the relevant skills we already have learned and practiced. For me, all I needed to do to become a taijiquan threat was to practice further, practice well, spar in the now, and apply what I had already internalized from my lengthy solo practice. Part of being a threat also involves putting one’s mind into the battle. For that reason, taijiquan megamaster Ben Lo , now around 90, is able to withstand people pushing his outstretched arm by more than an inch by his simply putting his mind — and I am sure his taijiquan/ch’i energy and skills — into his arm. For that same reason, a senior taijiquan student showed me the big change that happens when I do and do not put my mind into my arm when someone tries pulling on it. In other words, the warrior internalizes the entire battle and is focused on harmonizing an imbalanced situation, nothing more and nothing less. A focused, relaxed and confident mind — backed up by preparation, practice and skill — is not only what presents the essential threat, but also what delivers the victory. Such a mind also does not gloat over being a threat, does not seek to intimidate, and does not seek revenge. Whether or not a prosecutor is giving me sh*t — intentionally or not — my sole job for my client is to win as much as possible to my client’s advantage. Seeking to settle scores with the prosecutor distracts the path of victory. Winning as much as possible is what it is about. Fairfax criminal lawyer Jon Katz applies his two decades of martial arts experience to defending his clients. To discuss your case with Jon, please call his staff for a confidential consultation, at 703-383-1100.